Excessive dynamic rhythm of life, bad habits, stress, violation of the diet, delayed appeal to the specialist can have serious health consequences. The precursor of disease becomes unwell, headache and low blood pressure. Not too difficult to cope with a headache, nausea, fever, changes in blood pressure, however it is better to consult a doctor, because it can be manifestations of serious disease requires a thorough treatment. Even if these signs point to pregnancy, the examining doctor must. Perhaps the most common symptom of various diseases and conditions from fatigue to profound brain damage and nervous system is headache. The cause of the headache most often is spasm of the blood vessels of the head, expanding, or obstruction of blood flow. In some cases, before a headache begins to "push" whiskey. The causes of these phenomena can be very different: head trauma, various vascular disorders, use of certain drugs or the termination of their admission, infections, pathological changes in the structures of the face and skull, pathology of the cervical spine and postural abnormalities, neuro-mental status, etc. In each case, the diagnosis must deal with the doctor. In the treatment of headache in any case should not be at the same time taking medications and alcohol. Their effect can mutually be strengthened and lead to serious consequences up to a brain hemorrhage. Additionally, you do not need to take the second pill of analgesic, if from the first there is no effect. If the analgesics do not help, a headache can be a sign of serious disease, which requires treatment under the supervision of a specialist. Diseases of the stomach and gastrointestinal tract, nervous and cardiovascular systems, disorders of the endocrine system, and the use of certain substances, psychogenic reactions, and various physiological conditions may be accompanied by vomiting, also vomiting may occur if immunosuppression. There are cases of vomiting, the cause of which was a reduced level of hemoglobin in the blood. Vomiting is almost always accompanied by other concomitant symptoms. It is for the aggregate of such symptoms should be judged and the specific cause of illness. Only 7% of the population low blood pressure is a congenital symptom and in the absence of complaints does not require treatment. Other cases requiring treatment to the doctor. Often the reduction of pressure indicates impaired activity of the cardiovascular system. If there is pain in the region of the heart, slight fever, feeling of tightness of the chest, weakness, shortness of breath, check your heart. In vegetovascular dystonia of hypotonic type of pressure will periodically drop. Taking certain medicines can also lower blood pressure, cause dizziness. Additionally, the decrease in pressure is accompanied by some depression. It is impossible to ignore the dramatic sudden loss of pressure, it may indicate exacerbation of peptic ulcer disease, an attack of pancreatitis or massive internal bleeding. Note the combination of symptoms. Together with the rise or sharp headache is nausea and vomiting, dizziness, change in blood pressure to critical values? Immediately call an ambulance. Any unusual symptom that occurs throughout life, should be cause for concern and attract attention, because small ailments - the harbingers of more serious health problems. Don't wait for serious problems, prevent their appearance in a timely manner. Headache is one of the accompanying symptoms of hypotension or chronic low blood pressure. Because of the tendency of patients to vertigo and unconscious conditions headache hypotension has its own specifics. At low pressure headache may be of different nature. It may be dull and oppressive, and sometimes paroxysmal and throbbing. 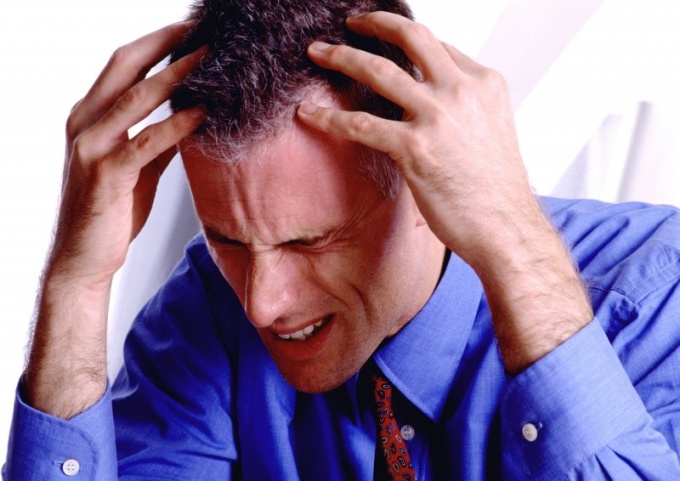 A characteristic feature of headaches with low pressure – its moderate severity. Most often this pain occurs as a consequence of physical fatigue or after morning awakening. Headache has no specific location. Sometimes it covers the entire head, sometimes manifested more clearly in any particular region of the skull. May be accompanied by nausea and vomiting, fainting. Specifics of headaches hypotension is determined by the changes of the tone of blood vessels. According to research, when you change the position of the body in patients, there have been sharp fluctuations in blood pressure. For pressure stabilization, the patient is recommended to regularly consuming caffeine in moderate doses. Can be used as drugs, small amounts of alcohol. 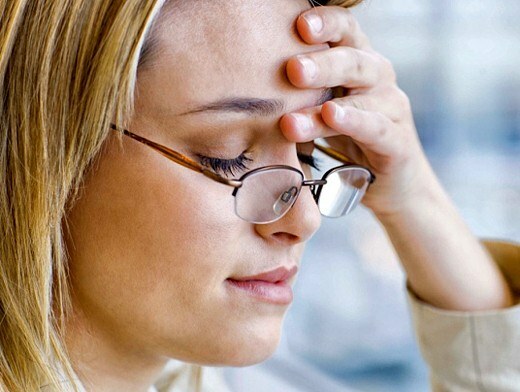 Sometimes frequent headaches hypotension can indicate the development of migraine. In this case, the pain attacks occur for no apparent reason. The attack begins early in the day with nervousness and irritability, before my eyes appear glowing terms. After a certain point of the skull causes pain, most often in the frontal or temporal lobe. In rare cases, the pain has no clear localization. The pain may radiate to the back or jaw, it is intense and is of a throbbing character. Migraine blood vessels can narrow and expand. Depending on this, the patient's face becomes red or pale. There are nausea, vomiting, discomfort in the heart, intolerance to bright light and loud sounds. Such an attack lasts for several hours, he often stopped during sleep. The rest of the time the person feels absolutely fine.